Opens Start Page when Visual Studio starts. 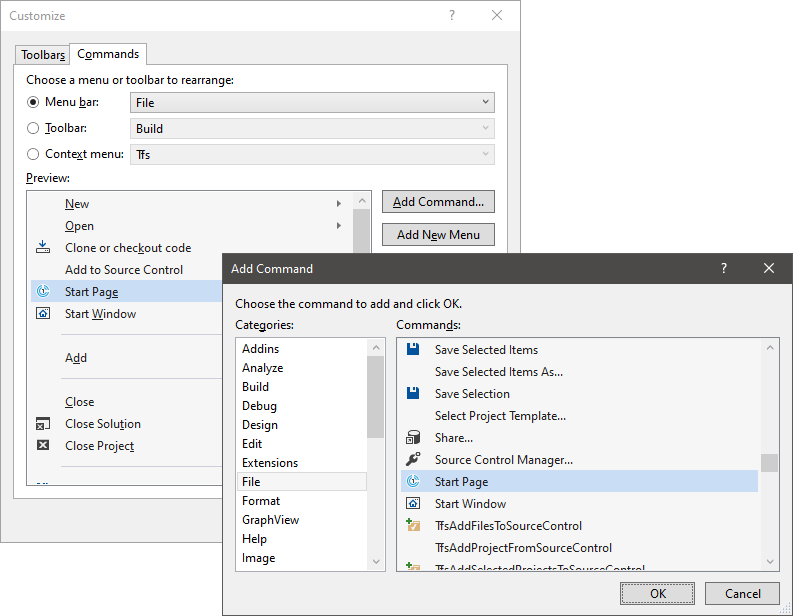 Configure Visual Studio to open empty environment on startup and enable this extension. Missing Start Page in Visual Studio 2019? This extension opens the Start Page when Visual Studio 2019 starts and whenever solution is closed. As long as the extension is enabled, the Start Page will open. To disable the Start Window as well, configure Visual Studio to open empty environment on startup (Tools > Options > Environment > Startup). This is the built-in Start Page, the same that was in Visual Studio 2017. The extension simply executes the File.StartPage command and therefore is subject to removal in future versions. Vote for bringing Start Page back at Developer Community! You can also assign a keyboard shortcut to it under Tools > Options > Environment > Keyboard, search for startpage, or use Command Window (View > Other Windows > Command Window) and execute File.StartPage yourself.